As someone whose skin doesn't seem to react well or much at all to most products out there, I was amazed when I stumbled upon BonBliss Beauty recently. 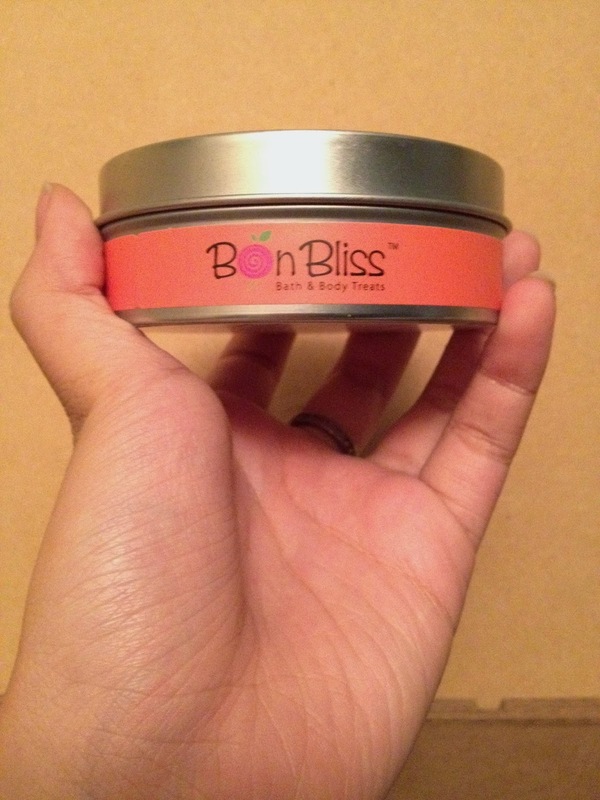 BonBliss Beauty specializes in "treats" for your hands and body in the form of candies and truffles. But don't be fooled--these sweet treats are not edible! They smell amazing and like a candle scent you would find in Bath & Body Works, but yet they leave your hands and body feeling smooth and well-nourished for a few days, actually. It is quite amazing, to say the least. 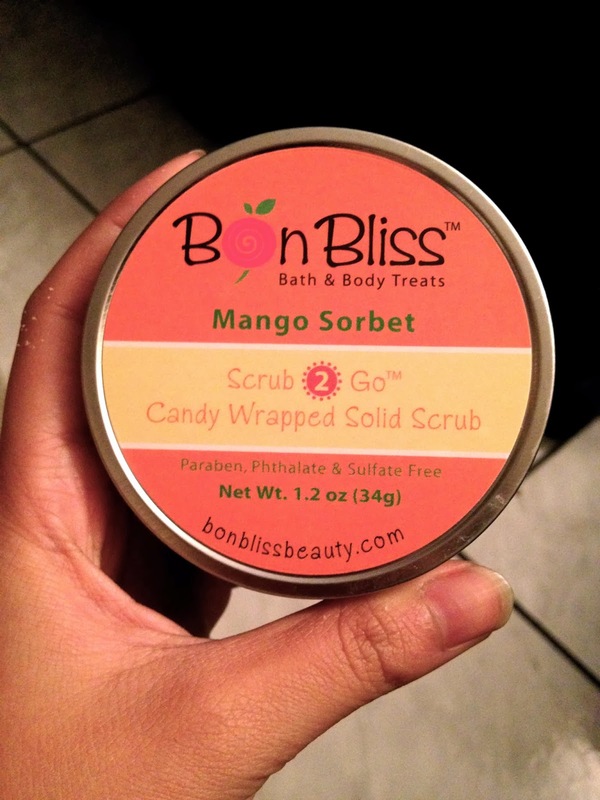 BonBliss Beauty currently has two products: Scrub-2-Go "Candy" Tins, and Moisturizing Body Truffles! 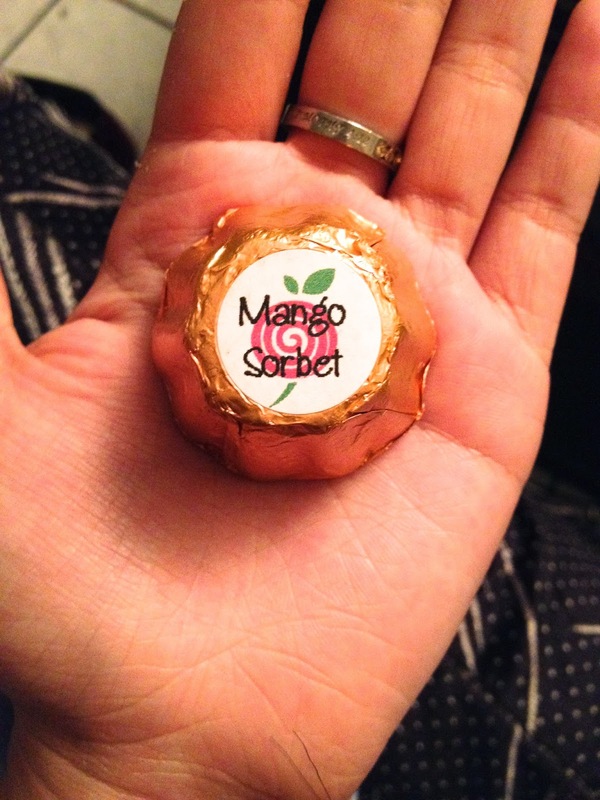 There are a number of different flavors, but my favorite for each of the "treats" is Mango Sorbet! Some of their other "flavors" include: Bergamot & Neroli, Japanese Cherry Blossom, Oatmeal Milk & Honey, Tropical Delight, and Vanilla & Brown Sugar. The body truffles are meant to be used in the shower, and their small size makes it easy to take along with you if you ever go on vacation! 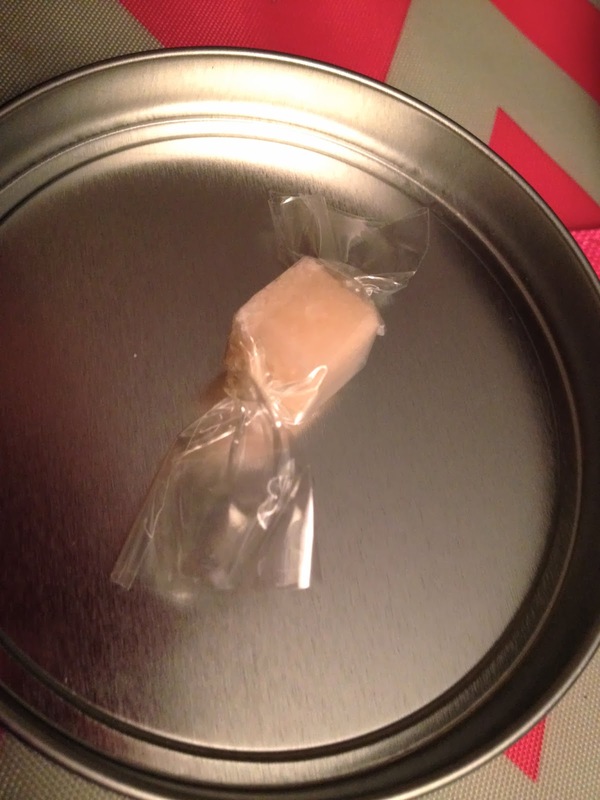 The truffles are wrapped in wax paper and foil, and the packaging is very pleasing to the eye. It really does look like it could be a real treat! You can either rub them directly on your body, break off a piece to exfoliate and spread throughout your body, or you can rub it onto your bodies, then scrub a loofa or towel onto you. Do whatever works for you! I have only tried rubbing it directly on my skin, and it can irritate certain parts that may be more sensitive. Regardless, it does its job well when it comes to smoothing out and softening your skin! Out of the two products, I have to say that Scrub-2-Go is my favorite! 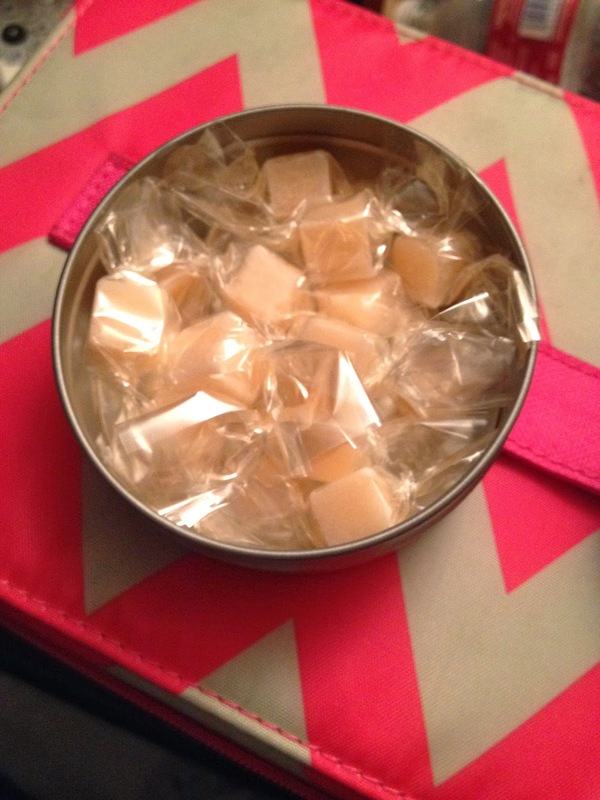 These little "candies" come in a tin that you can easily throw in your purse and take them on the go! These are appealing as well, in both appearance and scent. My dad thought they were like Altoids and almost ate one, one day! With these little candies, all you have to do is unwrap one, crush it into your hand, and scrub! The best part is that they're single use so they're super easy to use. The packaging is great and so is the product--I love everything about it! I really do. I briefly tried this product out at the New Girl Expo last month, and it left my hands feeling soft for the next few days after, maybe even a week after. One of my favorite exfoliating products to date. 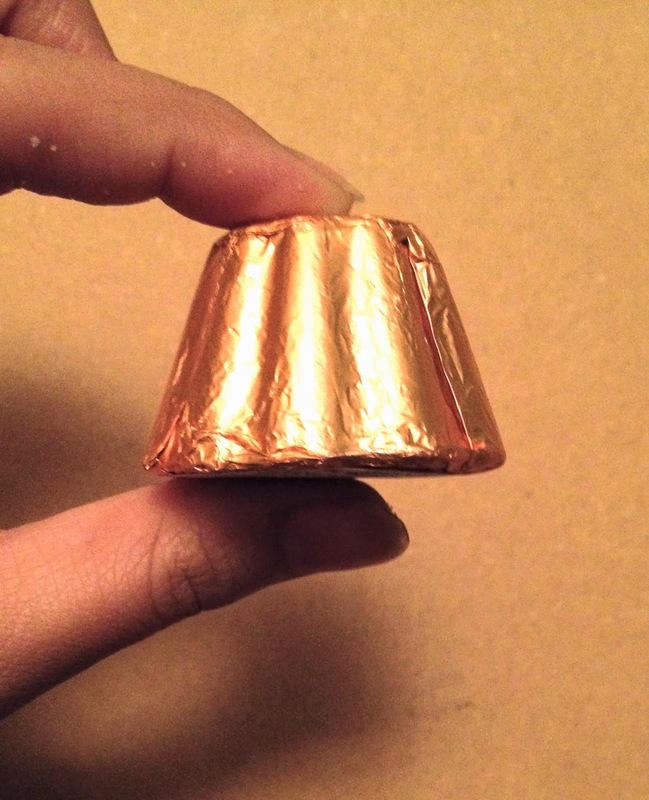 Anyway, the Moisturizing Body Truffles run for $3.75 each and the Scrub-2-Go goes for $10.95 per tin. And buy them soon, because for a limited time, enter "LIVELOVE20" for 20% off your total purchase! Isn't that great? I say go for it! This is honestly a great and wholesome brand with two amazing products that I really enjoy. (I especially recommend the Mango Sorbet Scrub-2-Go!) You will feel like you are getting a spa treatment every time you use either of these! Disclosure: I received the aforementioned products courtesy of the following company to review, but was not financially compensated for this post. All opinions are my own. OMG, this is SO cute!! I looove indulgent bath and body products, so this is right up my alley. Love it!! Thanks, Megan! You should definitely try them! Oh these look adorable! You're not kidding when you say they actually look like candy! Yeah they really do. They're so great! This looks like such a cool product!! I'd definitely love to try it! These look so ridiculously cute! Fancy bath goodies are one of my favorite splurges! Aren't they adorable? They are definitely worth trying! These ae so adorable and I love the packaging and concept! I would have thought they were candy as well. Would love to give this a try! I suggest buying the Scrub-2-Go. They are wonderful!